Please note that the content of this book primarily consists of articles available from Wikipedia or other free sources online. Christopher Norman Russell Prentice CMG (born 5 September 1954) is the HM British Ambassador to Italy, he took up his appointment in January 2011. Prentice has been a British diplomat since 1977. His previous post was British Ambassador to Iraq (officially Her Majesty's Ambassador to the Republic of Iraq). His previous appointment from 2002 to 2006 was as British Ambassador to Jordan. 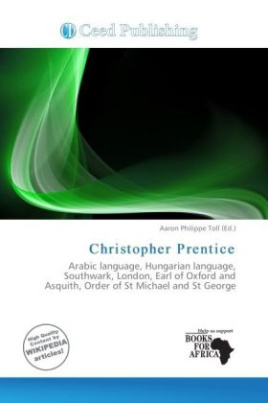 Prentice speaks both Arabic and Magyar (Hungarian).